Hello and Welcome to our preview for Bangladesh vs West Indies second ODI match. 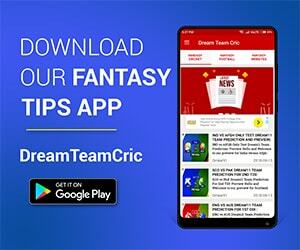 We are covering WI vs BAN 2nd ODI Dream11 Team Prediction, Preview and Probable Playing XI for the ODI match. The match is to be played at Providence Stadium, Guyana. In the first ODI, Bangladesh triumphed over Windies. They gave a target of 280 runs and were able to defend it later on against the hosts winning the match by 48 runs. Tamim Iqbal and Shakib played brilliant knocks helping team reach 279 on tricky pitch. Tamim scored 130* while Shakib scored 97. Later on Mushfiqur scored a quick knock of 30 runs in 11 balls to finish the innings with momentum. While bowling, returning captain Mashrafe Mortaza took four wickets and Mustafizur took two wickets for his team. For West Indies, D Bishoo took two wickets and in batting, Chris Gayle scored 40 runs while S Hetmyer scored half century. Bangladesh would hope to continue the momentum and seal the three-match ODI series in second encounter. Huge expectations will be from experienced players Tamim, Shakib, M Mortaza, Mushfiqur Rahim and Mustafizur Rahman to perform well in the second ODI. West Indies however would like to replicate their Test Success and try to win the second ODI and save the series. Their big guns should come all blazing and an all-round performance is needed from all players collectively to win the second ODI. A competitive match can be expected between determined Bangladesh team and unpredictable West Indians. 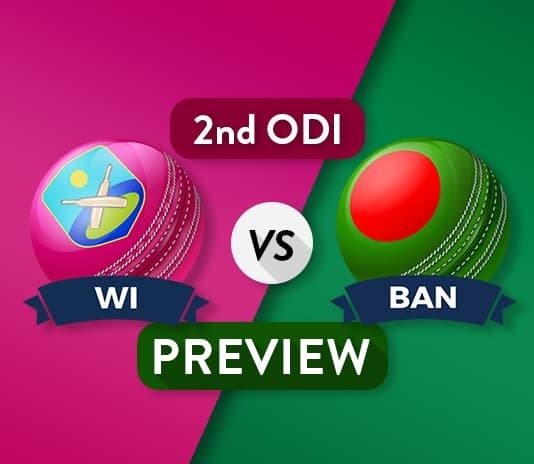 WI vs BAN 2nd ODI, Bangladesh tour of West Indies 2018. After disappointing defeat, Windies may make a few changes. Their fiery pace attack was their strength in the Tests but in first ODI their pace attack was very poor. Keemo Paul can be added in playing XI to strengthen pace department replacing Rovman Powell or Ashley Nurse. Kieran Powell can also come in for Jason Mohammed though chances are less. 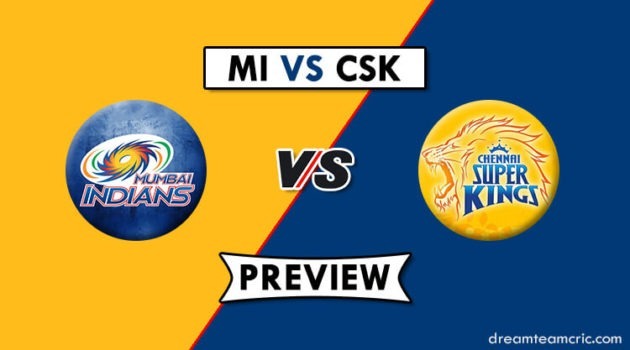 Evin Lewis and Chris Gayle will open the innings and expect for an explosive start. Experienced Shai Hope along with Shimron Heytmer and Jason Mohammed will provide middle order strength. Jason Holder, Andre Russell and Rovman Powell will play the role of finisher for the team. D Bishoo will lead the spin department with A Nurse. Jason Holder, A Russell and A Joseph will lead the pace department. After an easy win, Bangladesh would not tinker much with the winning combination. Liton Das who played a good knock in practice match can come in for Anamul Haque who scored a duck in first ODI. Tamim showed his class in first ODI and will hope to continue his form in second ODI. Tamim and Anamul/Liton will open the innings. Shakib, Sabbir, Mushfiqur and Mahmudullah will hold the middle order. Mosaddek Hossain, Mehndy Hasan and Mashrafe Mortaza can do the late hitting for team. Mehndy Hasan, M Hossain, Shakib and Mahmudullah will maintain the spin department. M Mortaza, M Rahman, R Hossain will be the fast bowlers for team. Captain and Vice-Captain choices: T Iqbal, J Holder, Shakib Al Hasan, A Russell, E Lewis, S Hope.